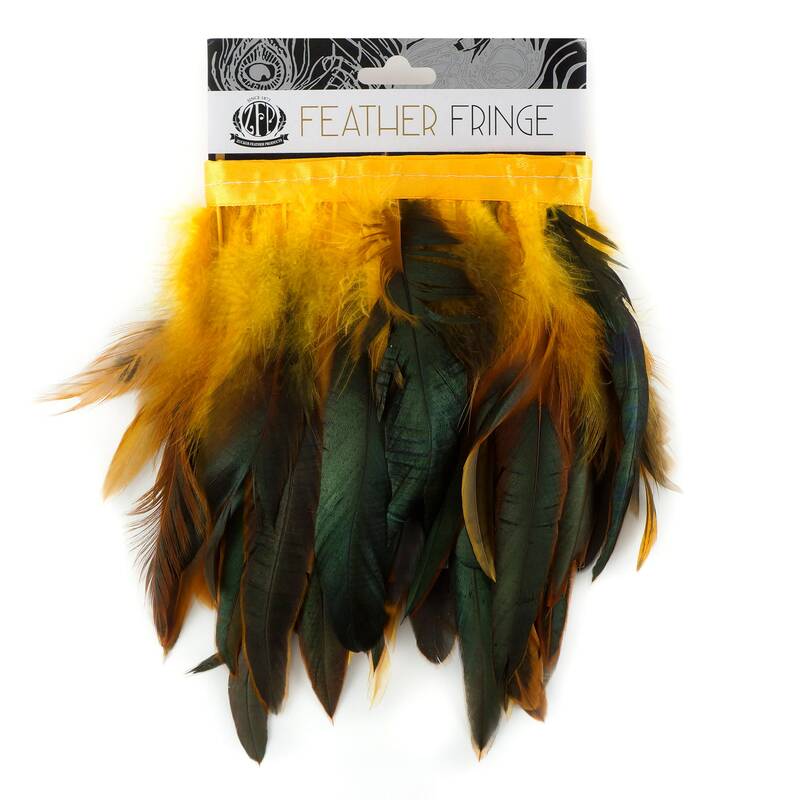 Half Bronze Iridescent Schlappen Feather Fringe approx 6-8" inches on 1 yard wrapped on a card. 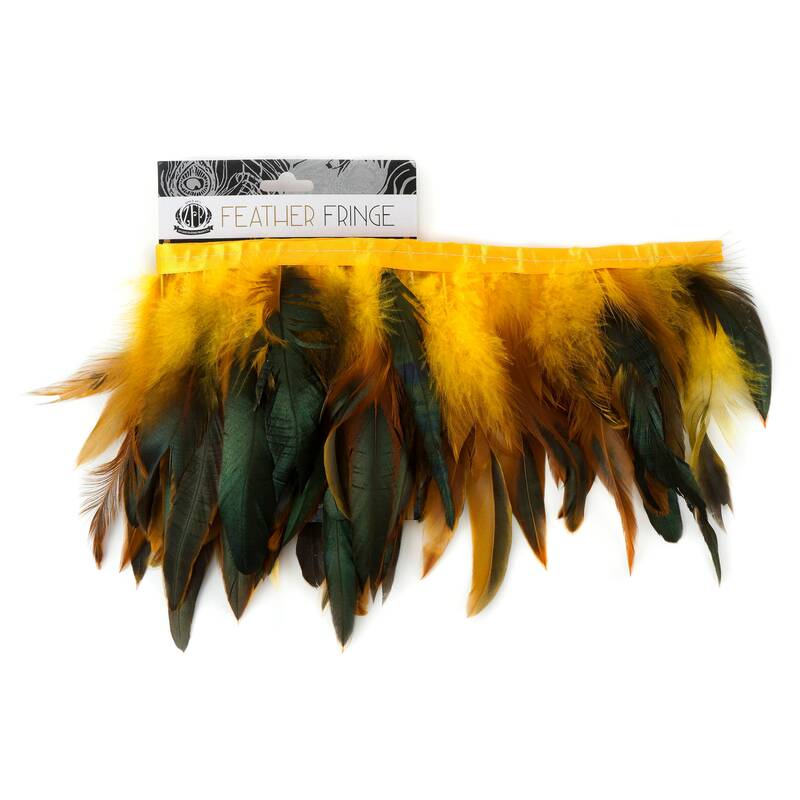 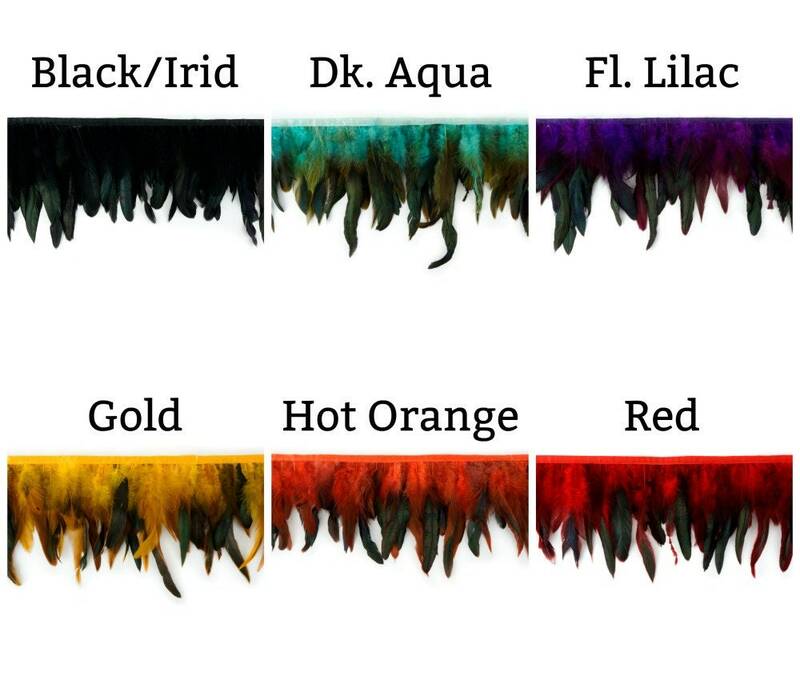 This handmade Feather Fringe is made from half bronze iridescent schlappen rooster feathers that have been sewn on to a polyester-blend bias tape. 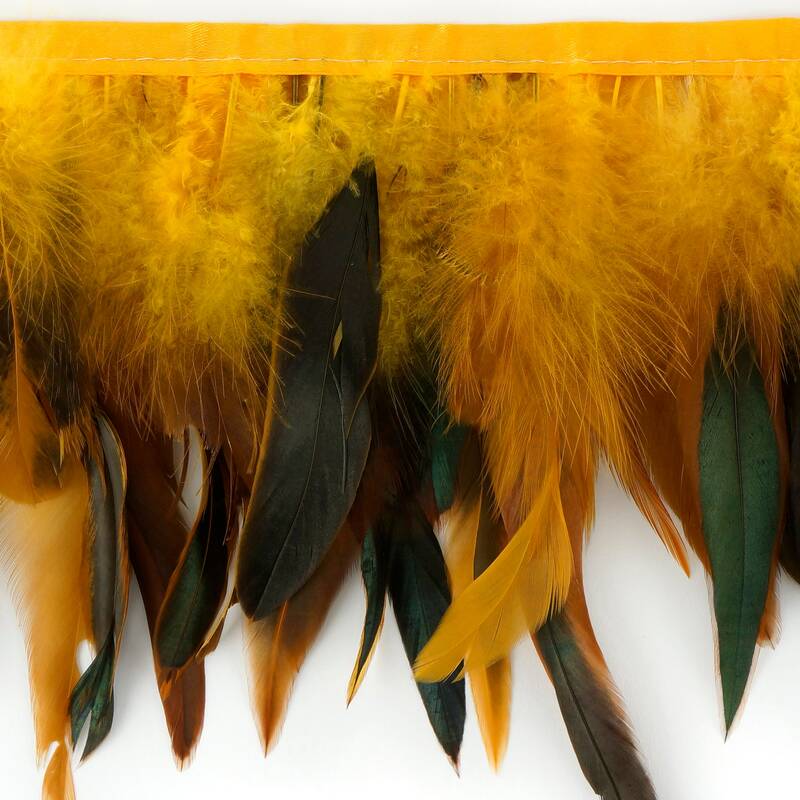 There are approx 4 feathers per inch. 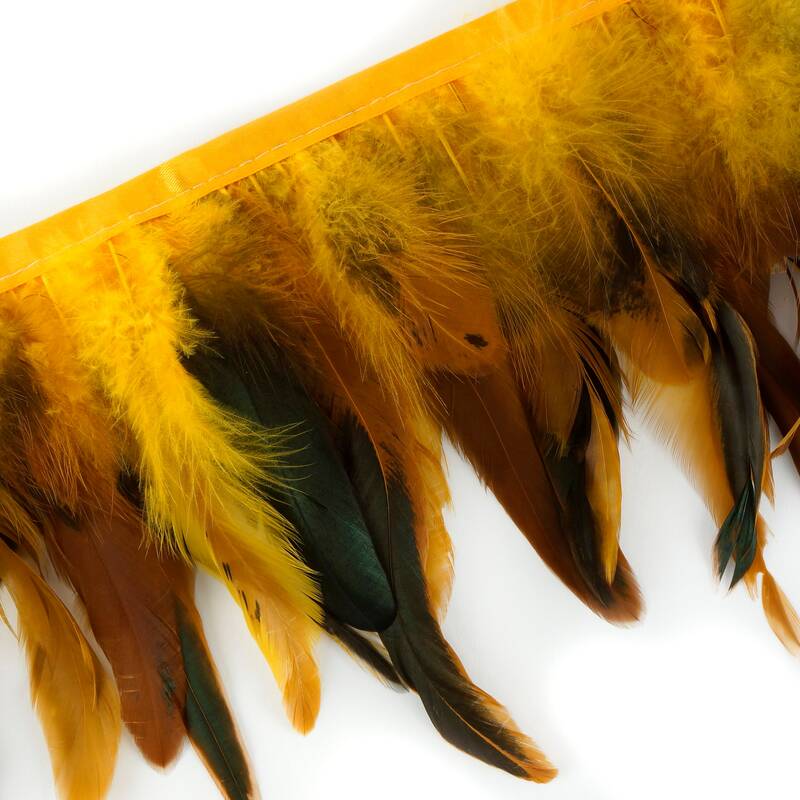 When feathers on this trim are dyed over the natural half bronze, they continue to have an iridescent shine.